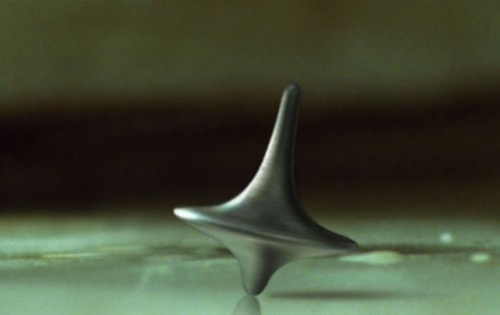 Inception is coming out on DVD next week and I’m sure many are looking forward to the ability to rewatch crucial scenes without having to repeatedly pay for a movie ticket. This post contains major spoilers and is intended to discuss questions as to the meaning of the film for those who have already seen it at least once. 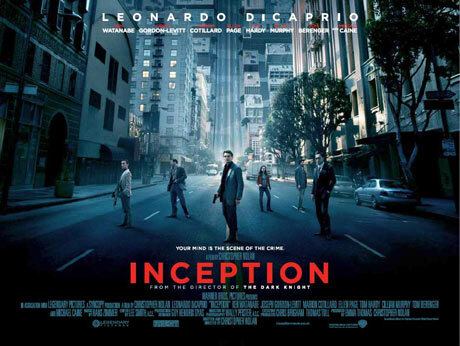 The most straight forward interpretation of Inception is of the story a con man, Dominic Cobb (Leonardo DiCaprio), with one science fiction idea added. There is an ability to share and influence dreams, allowing the con man to extract information when the subject is sleeping and his defenses are down. There is an added twist here. Cobb’s dreams are repeatedly interrupted by his wife, Mal (Marion Cotillard), who does malevolent things. Late in the movie we learned that the two were trapped in limbo, a dream state so deep that the subjects do not realize they are dreaming and the normal kicks to awaken them no longer work. Cobb planted the idea in his wife’s mind that they were in a dream and they needed to kill themselves to get out. It worked, but Cobb had not yet understood the power of an idea. Even after awakening, Mal was obsessed by the idea that they were still in a dream. She both killed herself and set up Cobb to appear like the murderer, believing that being forced to be separated from their children would be enough to get Cobb to also commit suicide. Cobb, realizing he was in the real world and not a dream, instead fled the country. 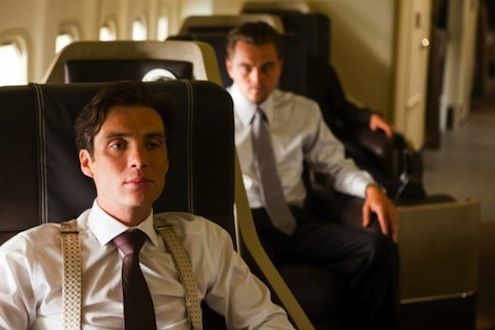 The movie began with Dominic Cobb (Leonardo DiCaprio), and Arthur (Joseph Gordon-Levitt) working to extract information from a powerful Japanese businessman, Saito. They used a dream within a dream to make the technique more effective at throwing the subject off guard. Saito was aware of what was happening and used this job sort of as an audition for Cobb to see if he was up to an even bigger job. Already we have multiple cases of deception, tipping off the viewer to be wary that things might not be as they appear. Instead of a normal job of industrial espionage, Saito hired Cobb to convince Robert Fischer, son of Saito’s terminally ill corporate rival, Maurice Fischer to break up his father’s empire. 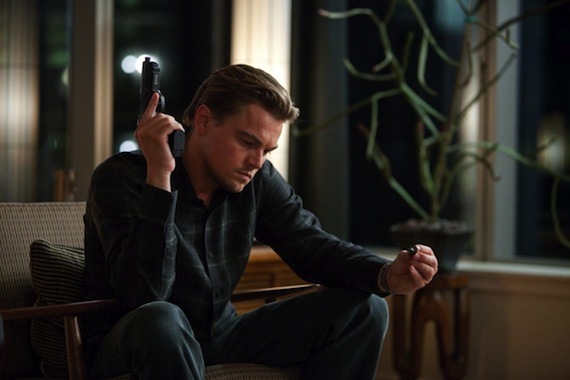 The question was raised whether inception, the planting of an idea in someone’s mind was possible. In return for accomplishing this, Saito said he had the power to get the charges against Cobb dropped in the United States, allowing him to return to his children. Cobb took the job, saying he knows it is possible as he did it once before. 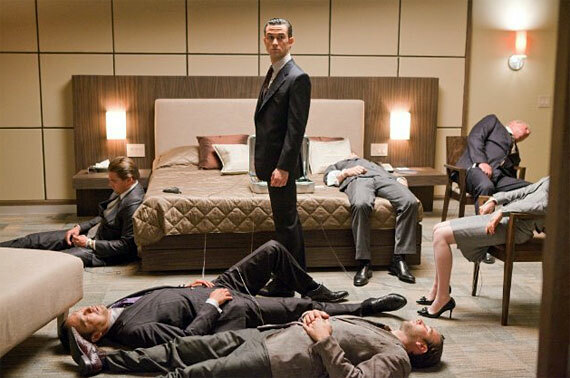 Later in the movie we learned the details I mentioned above on how he used inception on his wife. Probably due to a sense of guilt over the death of his wife, and actions by Cobb to preserve his wife’s memories, a projection of Mal would invade Cobb’s dreams. Cobb would also see his children, but never see their faces in his memories or dreams. Cobb needed an architect other than himself to devise the details of the dream world. If Cobb did this himself Mal (as a creation of his own brain) would also know the details, making it easier for her to destroy the dreams. 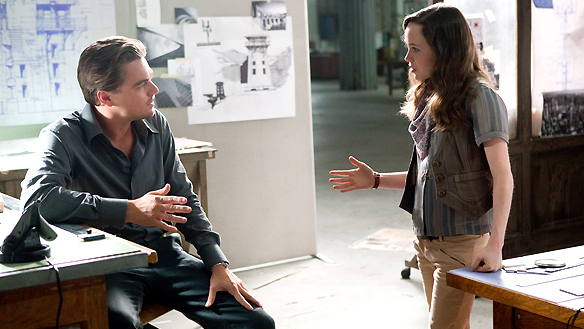 Cobb recruited Ariadne (Ellen Page) to be the architect, explaining how he used dreams as he instructed her. Others were also recruited and a series of dreams within dreams going over three levels were used to progressively implant the idea in Fischer’s brain until it reached the point where he would embrace the idea of breaking up the company. One person stayed awake at each level to arrange for a kick to awaken those dreaming at a lower level. The events in the real world took place on a plane as Fischer was flying back the United States upon the death of his father. The first dream level involved a van which eventually drove off a bridge and later hit the water–events needed as kicks to awaken the dreamers. The second dream level took place in a hotel. There ceased to be gravity when the van was falling off the bridge in the layer above. It is not clear why the lack of gravity did not carry through to lower levels, but Christopher Nolan was free to make up the rules how much from one dream carried over to the next level. Due to being in a zero gravity state, it was necessary to have an explosion in an elevator be the kick which later awakened the dreamers. The final dream level used to perform inception on Fischer was the snow fortress, with an explosion destroying the fortress being the kick to awaken them. Ideas were planted in Fischer’s brain in each of the levels. Due to the multiple layers and the sedatives used, those killed during the dream wound up in limbo instead of awakening. Cobb went into the limbo state to rescue Fischer and Saito who had died during the events in other dream states. While there Mal tried to make Cobb question reality and we learned the full story of Mal’s death. We also found that a totem used by Cobb to determine if he was in the real world had initially belonged to Mal. The totem was a top which would pin forever in dream states which were not bound by the rules of physics, and only fall if Cobb was not dreaming. Ultimately Cobb met Saito, who was now quite elderly due to the manner in which times moves exponentially faster in deeper levels of sleep. Now realizing he was in a dream, Saito reached for a gun, presumably to awaken himself from the dram and presumably Cobb did the same. We did not actually see either shoot themselves. It next appeared that everyone was awakening from each level of the dream, ultimately with all awake on the plane in the real world. In the final sequence Cobb went through the airport. He was met by his father (Michael Caine) and taken home. Throughout the movie there were images of Cobb’s children, but here he saw their faces for the first time. Cobb had already spun the top, but as his children were coming inside he did not watch to see if it would fall as he usually did. The top started to wobble but was still spinning as the screen went black. Not seeing the top actually fall, along with not having seen Cobb or Saito actually kill themselves in limbo to cause them to awaken, left open questions as to whether Cobb was still in a dream state at the end. Perhaps Mal was right and Cobb was in a dream. If so, was he in a dream even when he thought he was awake as Mal had claimed, or did he start out in the real world and wind up stuck in limbo at the end? Initially I was also suspicious about the final scene being real as the children kneeling while playing at the end looked remarkably like the children seen kneeling when Cobb imagined them several times during the movie. On first viewing I wondered if the children were exactly the same, never aging, with this being one more dream which they were in. I later found out that there was a subtle difference in their outfits and that two sets of children played the roles. The children were a couple years older in the final scene, even if not obvious upon viewing, making it more likely that the children at the end were not real and a repeat of earlier visions seen. We seem to know for certain that Cobb began in the real world because early in the movie we saw Cobb spinning the top with a gun in his hand. He was ready to shoot himself to awaken himself if he found he was still in a dream, but the top did fall over. There could still be some question as to whether the top could be taken as proof he was in the real world, especially as it initially belonged to Mal. There is other possible evidence that Cobb was in the real world both before the con and at the end. He was wearing a wedding ring during dream sequences but not in the real world scenes, including the conclusion. In addition, Michael Caine said in an interview that the token eventually did fall, and that all the scenes he was in were in the real world. However it is not certain if this is just his opinion or a definitive explanation. The final scene can be viewed another way, ignoring the question of whether it was real or in a dream. For the first time Cobb did not wait to see if the token fell. Perhaps he was just interrupted by his children coming inside, or perhaps this was intended to mean he did not care. The phrase “Old man full of regret, waiting to die alone” was used repeatedly during the movie, with this phrase acting as a trigger phase to allow Saito and Cobb to remember there was a world outside of the limbo they were in. At the end, Cobb might have preferred the possibility of being in a dream world with his children as opposed to himself becoming an old man full of regret, waiting to die alone. The story is far more straight forward if we assume that Cobb returned to the real world however there are many possible interpretations if the top did not fall. If Mal was right about them being in a dream and not the real world, was it just a projection of Mal or was it actually Mal herself invading Cobb’s dreams? Was Mal attempting to perform inception on Cobb? The ending might have been comparable to a common interpretation of the finale of The Soprano’s in which everything went black because Tony Soprano had been killed. In a similar fashion, the screen might have gone black because this dream which Cobb was in came to an end. In previous visions Cobb did not see his childrens’ faces. Perhaps seeing them here was the trigger to awaken Cobb. Looking back at the film, the most likely explanation is that Cobb had awakened and was in the real world at the end. It is also clear that Christopher Nolan intentionally left ambiguity, especially by having the screen go black before the token fell. This led to increased discussion of his movie, and probably to increased ticket sales as many returned to attempt to find answers to these questions.